It takes a split second for a serious accident to occur – but the consequences of that accident can affect an individual for life. At the Cleveland law office of Elk & Elk, we understand this more than most. Over the years, we have helped people whose lives have been changed by back and neck fractures, closed head injuries, disfiguration, amputation, crush injuries, spinal cord injuries and many other types of serious injuries. Our clients usually require extensive medical care – and many require ongoing care that may last for years or a lifetime. Besides the pain our clients have suffered, living with a serious injury can have psychological and emotional effects as well. The injury may make it difficult or impossible to work. Pain may affect sleep. Depression and anxiety may set in. We understand how devastating these injuries can be, and we don’t take our role lightly. Our goal is to do everything possible to help our clients move on after suffering a catastrophic injury in Ohio. At Elk & Elk, we take the time necessary to understand how a serious injury has affected the life of a client. We want to understand exactly how your life has changed because of your accident. That way, we can help you seek compensation to cover all the expenses incurred as well as your future expected needs. You shouldn’t have to worry about medical bills, lost wages, physical therapy costs and long-term care expenses that result from another person’s negligence or recklessness. We want to help you make a full financial recovery so you can move on with your life. Elk & Elk has been representing clients in Cleveland and throughout Ohio for decades. Many of our clients come to us with motor vehicle accident injuries that occurred on highways I-71, I-76, and I-90 running through Cleveland. Some have been injured by distracted drivers who fail to pay attention at crosswalks in downtown Cleveland, Tremont, Detroit-Shoreway, and Ohio City. Others have suffered injuries due to the mistakes of doctors at one of many Cleveland hospitals and medical centers. Back and neck injuries: A life-changing injury to the back or neck can happen in a split second. These injuries can be caused in motor vehicle accidents and slip-and-fall accidents, for example. Specific types of back and neck injuries include herniated disks, sprains (injury to ligaments), whiplash and fractures. Spinal cord injuries: Injuries to the spinal cord can affect an individual’s body below the site of the injury. Depending on the severity of the injury, the victim may suffer loss of sensation, loss of movement, loss of bladder or bowel function, pain, and problems breathing. Paralysis (paraplegia or tetraplegia) can also result from a spinal cord injury. 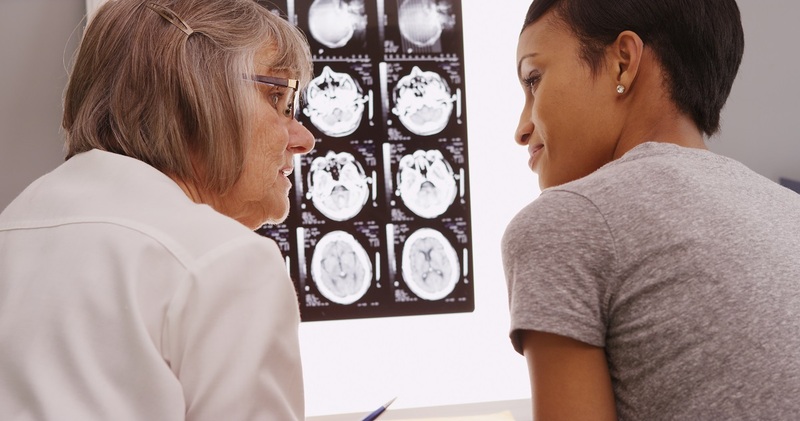 Head and brain injuries: Whiplash, traumatic brain injury, concussions and intracranial hematoma are all injuries that may be the result of an accident. Signs of a head or brain injury vary greatly, but may include headache, dizziness, confusion, loss of consciousness, seizure, pupil dilation, nausea and vomiting. Bone fractures: Whether one or several bones have been fractured, the pain can be intense. While some fractures are easy to treat, the damage done in a serious car accident, for example, may result in multiple compound or compression fractures. These fractures may require multiple surgeries, physical therapy and ongoing treatment. Damage to internal organs: A motor vehicle accident, workplace accident or other type of accident can result in damage to the lungs, heart, pancreas, liver, kidneys, spleen or any other organ. Internal organ injuries may not be immediately noticeable – but still very serious. This is one reason why it is so important to see a doctor after an accident, no matter how much pain the victim is in. Amputation: A motor vehicle accident or other catastrophic accident can cause an amputation – or it can cause damage to a limb that later requires medical amputation. In either case, the loss of a limb can drastically change someone’s life. Many amputation victims experience “phantom limb pain” in which they feel pain or sensations in the area where the limb used to be. We represent people who have suffered other serious injuries as well. If you have questions about our services and wish to speak to an attorney about the specific type of injury you have suffered, please don’t hesitate to contact us. We have two convenient Cleveland area law offices: Across from the MetroHealth main campus in Cleveland and in Mayfield Heights. Convenient parking is available in both locations. Additionally, if you are unable to travel to our office because of your injury, we can arrange an in-home or hospital visit. Driving directions to our Cleveland office can be found here. Seek medical attention: No matter how minor your injuries seem, after a car accident or other type of accident caused by someone else’s negligence, it is important to see a doctor. It is not uncommon for serious injuries to go unnoticed temporarily due to stress or shock. Call 911: If someone is injured, if there is property damage, if the accident is blocking traffic or if the accident is creating some sort of hazard, it is important to call 911. Gather evidence: After an accident, take photographs of the accident scene and exchange contact information with any witnesses or anyone else involved. If you are unable to do this yourself, ask someone to do it for you. 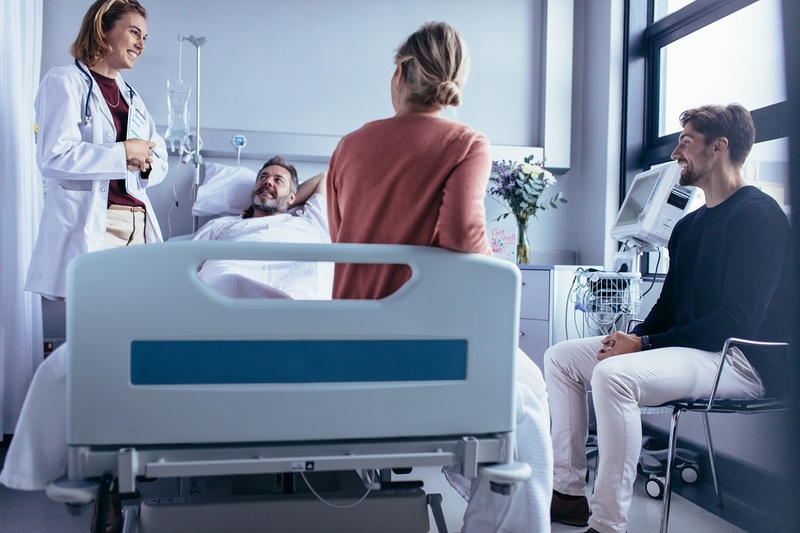 Many of our injured clients seek medical treatment at University Hospitals, Cleveland Medical Center, Cleveland Clinic, Cleveland Clinic Fairview Hospital, and other Cleveland-area hospitals. We routinely assist our clients in identifying hospitals or clinics that specialize in certain treatments, depending on their medical needs and type of injury suffered. After suffering a serious injury as the result of another person’s negligence or recklessness, contact the experienced legal team at Elk & Elk. We will learn how your injury has impacted you and help you seek maximum compensation so you can move forward with financial security. To schedule your free consultation, please call our Cleveland or Mayfield Heights office at 1-800-ELK-OHIO or complete our online contact form.